Former All Black Captain Richie McCaw has size, strength, a cool head, quick hands and a soft spot for charitable causes. No better man than this to navigate the Coromandel Peninsula’s gorges, rivers, harbours and rhyolitic domes that exploded form calderas millions of years ago, forming the backdrop for the ARC Adventure Race. Organised by the Spirit of Coromandel Trust – Keith and Rita Stephenson and Andy Reid – the ARC Adventure Race is a trailblazer for having pushed the extremely adventurous to their limits longer than any other race in the country. With sights set on a charitable goal of providing an outdoor pursuits centre for Coromandel youth, the ARC Excalibur Adventure Race is in its 18th year and features a different course each time. Competitors will start the long race at Hahei on Saturday morning and the shorter course from Pleasant Pt in Pauanui at 8am. Teams must kayak, abseil, mountain bike, trail run and boulder hop through Coromandel terrain that’s rarely explored. 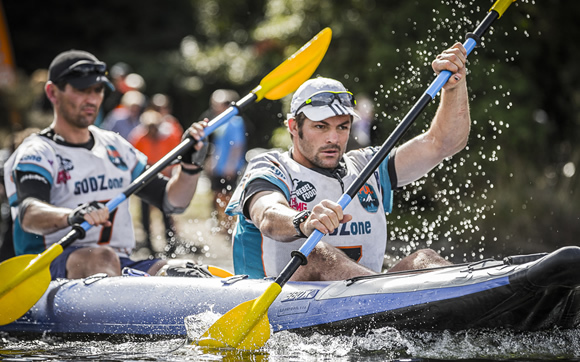 It is McCaw’s second ARC Adventure – with four-person Price Waterhouse Cooper team headed by Rob Nichol, CEO of the New Zealand Rugby Players' Association, Wanaka’s Sarah Fairmaid and adventure race world titleholder Bob McLaughlin. Funds raised go to the Spirit of Coromandel Trust charity, which is working toward establishing an outdoor pursuit centre on the Coromandel for youth and has sent young locals to outdoor education courses for 18 years. It’s a goal that’s close to Richie’s heart, as a founder and trustee of the iSPORT Foundation that believes every child has a right to be physically active, have access to positive role models and be the best they can be regardless of their circumstances. No stranger to the requirements of this event – which include a gruelling level of fitness, 100 percent commitment to teamwork and the mental challenge of finding and following clues to just stay on the course – they’ll know nothing until the day before the race begins, when the mystery is revealed. Richie has had short holidays in Whangamata and Whitianga and will be joined at the ARC Adventure Race by his wife Gemma, who is competing with friends. The pair sometimes train together, and he has also hiked to The Pinnacles with team captain Rob, who got Richie onboard in adventure racing. ARC Excalibur also serves as a training event for Macaw’s upcoming Godzone race with the same team in Fiordland next month. Clues begin with the tale of King Arthur. Using navigation and outdoor skill to find the course, teams must include at least one female and all four in the team must finish. The end line this year is Pauanui and prizegiving will be held on Sunday 10am at the Pauanui Sports and Recreation Centre, or you can follow the team’s progress on the ARC events facebook page. “Teams will need compass and survival skills if they wish to succeed – and there will be guaranteed moments where relationships are tested. This is no walk in the park,” says co-organiser Keith Stephenson. Says Rob Nichol of this: “The options are; you give up and go home, you bicker and apportion blame, or you say ‘ok, how do we get back on course’. We go into it engaged, dialoguing within our team and that’s a really important dynamic. “Times can be tough at 3am when it’s cold or rough weather and it’s easy for an individual or all four of you to drift into your own little worlds. That’s when navigation or injury mistakes can happen so you try and give everyone jobs, and keep talking about how you’re feeling. Inspiring and encouraging team work and a love and respect of the outdoors is the purpose of The Spirit of Coromandel Trust, which was set up in 2000 by Keith and Rita Stephenson and Andy Reid. After 18 years of masterminding adventure racing, cycling and trail running in the beauty of the Coromandel Peninsula, their three iconic events - the Flight Centre K2 Road Cycle Classic, the ARC Adventure Race and the Great Cranleigh Kauri Run – are well-oiled machines that draw a dedicated following. This adventuresome trio reside in Coromandel Town and share a passion for people, the environment and the outdoors. All profits from the events go to a charitable cause. And it is with thanks to this trio of volunteers that we have three of the longest running, iconic events on the Coromandel who trailblazed the adventure racing phenomenon in New Zealand.